Our mission is to change one life at a time. How are we going to do this you may ask? 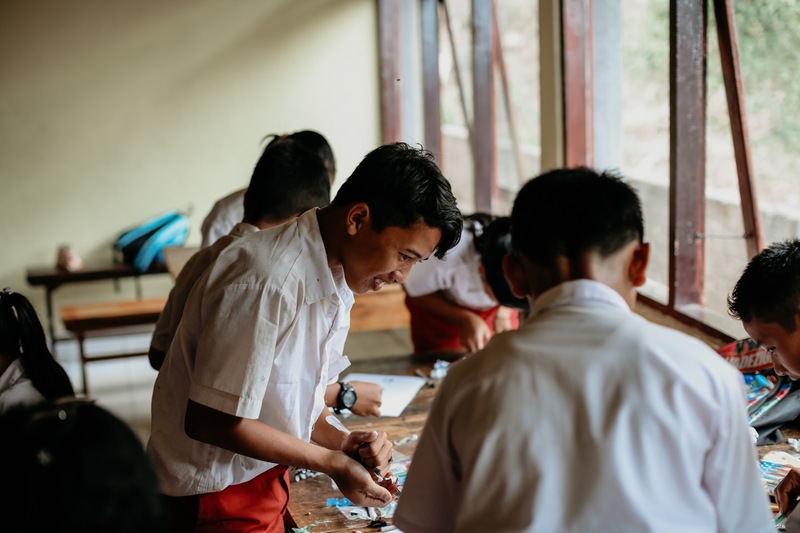 I have teamed up with Bali Children Foundation, to provide an educational pathway for disadvantaged Balinese children – a journey leading to growth and long term sustainability. The Indonesian island province of Bali is famous for its ancient culture, spectacular beach resorts and breathtaking landscapes that include steaming volcanoes, hectares of terraced, emerald green rice fields, tropical rainforests and the most warm and welcoming people; idyllic in every sense. However, Bali’s remote rural communities have been heavily impacted by both man-made and natural disasters and many families are caught in the poverty trap with little or no income. Children frequently have no option other than a lifetime of working on the farm and we want to help! Bali is Australian’s number 1 tourist destination with over one million Australian’s visiting each year. It is estimated that more than one billion dollars is spent each year by Australians visiting Bali and unfortunately very little, if any, of this money reaches past the tourist destinations that many of us have visited. Just a short 2hrs north of Kuta in places like Tigawasa – North Bali and Songan – East Bali many children go without any form of education, clean water and even a bed to sleep on - these are classed as luxuries that to many are non-existent. Many families don’t have enough money to send their children through the first years of school and are then forced to work on the local farms with no basic education. Here at Feather & Finch we are giving $100 of each wedding booking directly to a disadvantaged child. The first (of many) is Sinta Pradewii. I will be funding essential education for her development. Sinta is currently 10 years old and my mission is to fund Sinta’s education right through to the completion of University. Sinta parents are both local weavers in the Tigawasa region and I can only imagine how proud they will be of her through each milestone. Once I have the amount to fund the entirety of Sinta’s education, I will then sponsor another child, continuing our growth in sponsorship and being able to provide such essentials to these children in need. So world, meet Sinta. A little girl who was once unable to have the opportunity to seek simple education; but now I am about the change all that! Pictured below my visit to Sinta’s school and home, with four generations of her family. "Your booking will change a life"